Defense Attorney In New Mexico Says “Its not illegal to teach your children to shoot” – I Am Not Ashamed Of The Gospel Of Christ! I’m shaking my head on this one. Yesterday I wrote about the compound in New Mexico that was teaching children to kill and how to do school shootings. New details have emerged showing clear prejudice. Prejudice in favor of the Muslim faith. We have seen this slowly forming in America over the last decade. Now its in your face clear. 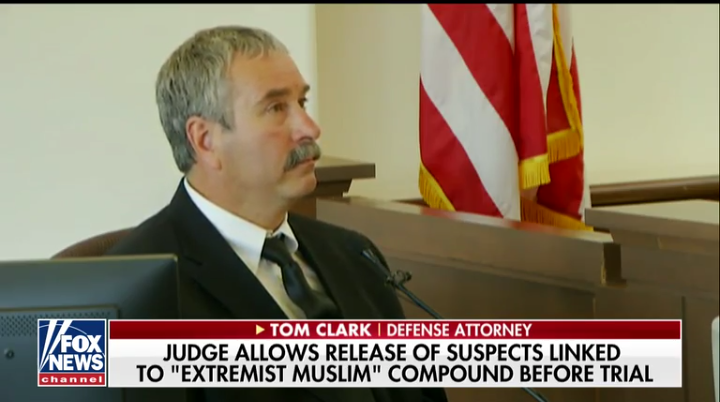 The libs have been screaming gun control, but now it seems that at least one, defense attorney, was shown in court, according to a video defending the judges decision to turn extremists loose, that its not illegal to teach your children to shoot? Really? It seems that gun control only applies to those who wish to defend themselves, or when it fits their agenda. So when you teach children to kill those who believe different than you its ok? After all, Hamas, Hezbollah, and Alqueda all teach this and the UN says nothing. But let us want to defend our 2nd ammendment and chaos ensues. And they have said this is a case of Religious freedom and the 2nd Ammendment. This is very serious. Watch the video here. If your like me you’ll have to listen again and again to believe what you hear. Then there’s this, a report from CNN cites a defense attorney’s argument, I hesitated to share this but it needs to be shared. I am not promoting hate of any group but this is appalling. And if you think American Christians are not targeted here, think again. Here is the statement from the defense attorney defending the fact they aren’t a danger even after a child was killed under the guise of excorcism to be resurrected as Jesus to instruct who to kill. There is no longer any question as to the times we’re living in. Or how the left has embraced the religion of peace. Religion of peace indeed.